Exceptional top shelf SUV limo. Built by Executive Coach Builders, widely considered the best limo manufacturer in the country, our Navigator limo rolls on 22 inch chromes and sports a custom “T Rex” chrome grill. Awesome full stainless steel ceiling with beautiful fiber optic effects. Multiple woofer, premium sound system with MP3 player/IPOD hook up. 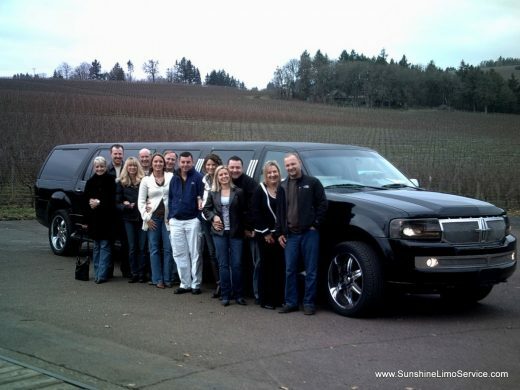 This limo is perfect for your Oregon wine tour adventure! Non smoking. $190 for a single hour, $125 per hour for 2 hours or more (plus tip and fuel surcharge). Watch our YouTube video of our 14 passenger Lincoln Navigator limo!